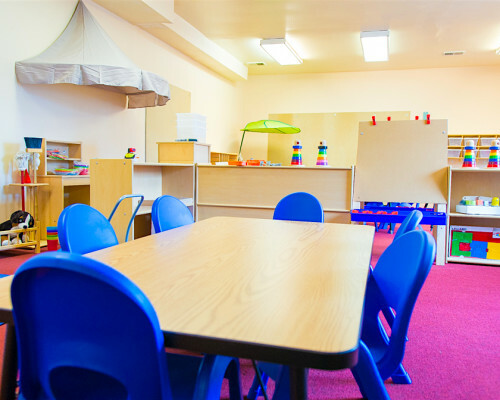 Our toddler care dc program focuses on building relationships, responsive care, and routine experiences for toddlers. The curriculum introduces a developmental continuum to help teachers observe children and use what they learn to be responsive to the children’s needs and interests. It addresses language immersion and literacy, math, and science for exploring and developing emerging skills. 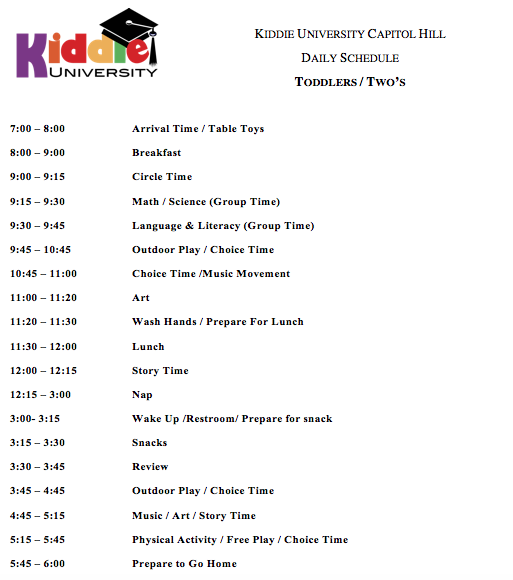 A toddler’s daily schedule is structured to insure consistency, but schedules are subject to change and are designed to include flexibility. Teachers tailor activities and routines to respond to children’s needs and interests. To document growth and development at our toddler care dc program, teachers maintain a digital and on-hand portfolio for each child. Portfolios use photos, developmental checklists and work samples to provide a record of individual progress. Portfolios are always in the classroom and available for parents to view. Thank you, Kiddie U! My 18 month old quickly adjusted to your routine, enjoyed art time and water play… And mama was so happy to know she was warmly greeted, encouraged, and cared for each day. Your hours really supported my work needs and my lil one learned and made new friends. The phone app with regular updates and pictures throughout the day was a plus.